Ardex K15 is a self levelling compound and is one of the sub-floor preparation products. Ardex K15 self levelling screed is suitable for use over most substrates and adhesive residues. DESCRIPTION ARDEX K15 NEW is an advanced sub-floor smoothing compound. 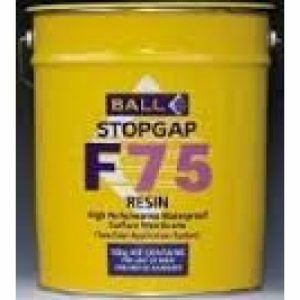 It is virtually tension free and is designed to rapidly level and smooth hard sub-floors prior to applying most types of floor finishes. 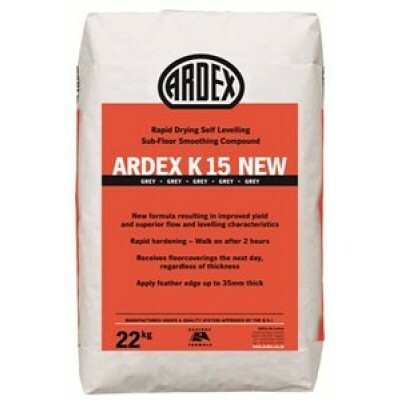 ARDEX K15 NEW is a grey powder consisting of special cements and high quality synthetic resins. 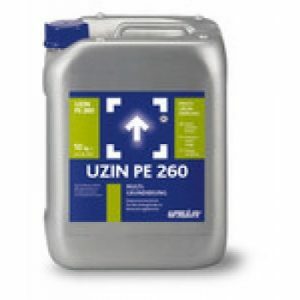 When mixed with water, a fluid, self-levelling mortar is produced which can be applied from a feather edge up to the required thickness in one operation. For thicknesses greater than 10mm, incorporate ARDEX Coarse Aggregate in the mixed mortar. 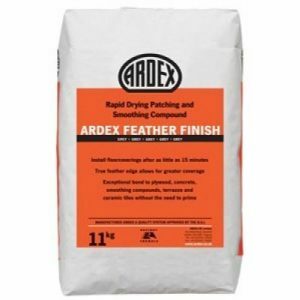 USE ARDEX K15 NEW is especially useful where the installation time of the floor finish must be kept to a minimum. ARDEX K15 NEW will level and smooth, internal sub-floors of concrete, cement/sand screeds, quarry tiles, etc., in a single application prior to the installation of floorcoverings. 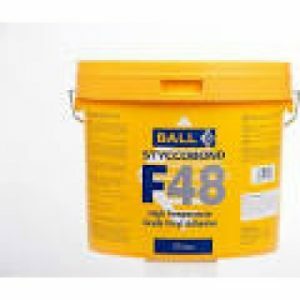 Applications include smoothing tamped, uneven, damaged or rained-on in-situ concrete sub-floors, adjusting tolerances or camber problems between floors, slabs or pre-cast concrete as well as smoothing old sub-floors and screeds in renovation projects. Used in conjunction with the ARDEX Primer range, ARDEX K15 NEW can be applied to old sub-floors, e.g. floor screeds and other hard and rigid bases. ARDEX K15 NEW can normally be walked on after approximately 2 hours at 20°C and dries and hardens rapidly so that even thick applications are ready to receive floorcoverings the next day, (normally after 16 hours) at 20°C.